I have to admit, that since I took over as co-blogger for the Cybils, I forget to announce that the application for Judges is open on my own blog. If you have anything to do with blogging about kidlit on a regular basis (like once a month or so), and you’d like to be a part of a really neat group of people who are passionate about kidlit and are really fun to talk to (though mostly it’s just through group chat and email), then you should consider being a Cybils judge. I’ve been doing this for 11 years now, and some years I put in more time than others, but I’ve never been disappointed with the end product. I’ve met some really wonderful people through my involvement, and I’ve always had a great time. On top of it all, I think there’s a really solid group of organizers this year, so it should be a fun one. All we’re missing is you. I was a first-round panelist for the first time in several years, and I remembered why I needed to back off from that… it’s SO very time consuming. I was lucky enough to be on a panel with some fantastic readers, who read a lot faster than me, and so I managed okay. I am really proud of the shortlist we came up with, and it was relatively painless as well. There were a lot of good books to choose from, and I’m happy with the list we came up with. I’ve had a super busy fall, so I haven’t been as involved in the Cybils as I would have liked, but it’s been going on. The shortlists were just announced and there’s a LOT of really great books on them (I even manged to nominate one that made it!). Some of my favorites, many I haven’t read. Do check all the lists out! As for me, I volunteered to be on round 2 of the new category, Audiobooks. This is what I get to listen to over the next 6 weeks, and I couldn’t be happier! As always, check back on February 14th to see what we’ve picked as our winner! 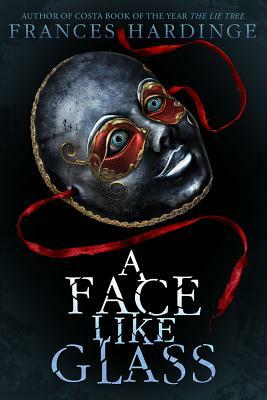 This surprising & original retelling of Pinocchio takes place in a magical steampunk version of 15th century Italy. The title character is an “automa,” a wooden robot powered by alchemy. He seeks to be reunited with Geppetto & the musical cricket Maestro as they all race to save Prestor John, ruler of the Magical Kingdom of Abaton, from the wicked Doge of Venice. Pinocchio’s discoveries about family, friendship, and free will are deftly woven in with episodes of high adventure. The audiobook is truly a movie for your mind, with a full sound track that includes music & sound effects. Raymie Nightingale has one goal, to win the 1975 Little Miss Central Florida Tire competition. Her father left town with the local dental hygienist and Raymie’s plan is for him to read about her win in the paper and to come home to her. While preparing for the competition, she befriends Louisiana Elefante and Beverly Tapinski as they all take baton twirling lessons from Ida Nee, the town expert. The Three Rancheros, as they call themselves, help each other to solve the problems they are facing. While Raymie wants to win back her father, Beverly is determined to sabotage the pageant and Louisiana hopes to get her cat Archie back. These underlying motivations lead to some unlikely and amusing adventures for the quirky friends. Lamia effectively conveys the emotions and personality of three distinctly different characters; single-minded, yet sensitive Raymie, ethereal and swooning Louisiana, and the tough and ardent Beverly. Lamia’s expert storytelling brings this this poignant tale of love and loss to life. A classic Peck tale, this is the story of Archer and his grandfather, uncle, and teacher. Told through his years as a fourth, fifth, and sixth grade student, we see the influence these individuals and others have had on his life during this bildungsroman story. Crouch strikes a balance between Archer aging through the grades, bring a sense of wisdom to the grandfather, and a general relatability to all the characters portrayed. 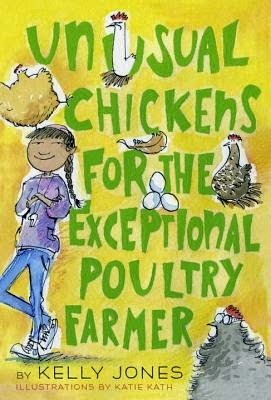 Balancing both humor and touching moments, this audiobook is a fit for families and middle graders alike. Stephanie Charlefour, Love. Life. Read. On a dark night in 1242, a group of travellers gathers in an inn in France to exchange stories of three remarkable children: Jacob, Jeanne, and William. 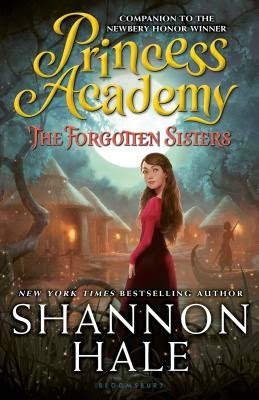 With flavors of The Canturbury Tales, each tale teller adds a unique slant to the collection, slowly building on each others’ version to build a complete picture. 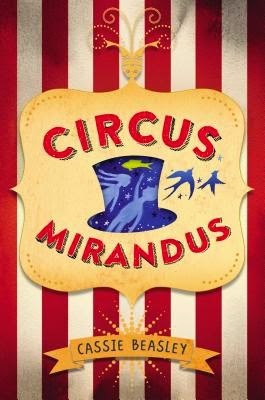 This is a book that’s perfectly done as a full cast production, as each narrator gives a spin to their section that makes the characters come to life. 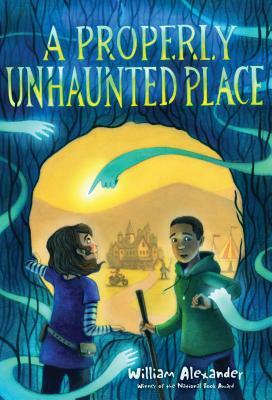 With plenty of topics that middle grade readers will relate to today, this is a historical book with just the right amount of humor and magical realism to give it a wide audience appeal. Traditional Chinese tales are interwoven with an adventure story in this book that follows the pattern of Lin’s award-winning books Where the Mountain Meets the Moon and Starry River of the Sky. There are some characters in common with the earlier two books, but readers stepping in for the first time won’t feel out of place. Young Pinmei has grown up with her grandmother, the Storyteller, on a remote mountain. But one year when the winter has gone on far longer than it should, her grandmother is kidnapped by a threatening stranger Pinmei can tell is only disguised as a common soldier. She and Yishan, the boy who lives alone up the mountain, set out to rescue her. Kim Mai Guest’s narration portrays Pinmei’s journey to confidence, as well as the full cast of characters. The audio format highlights the interconnected details and the poetic language in this book that’s destined to be a classic. I’ve been blogging for nearly 12 (!) years, and in that time, I have realized that the thing I enjoy most about blogging is not the actual putting of words on (electronic) page (though I have liked that I’ve — sort of — kept up with my writing). It’s the community. And, true, in those 12 years, I’ve seen blogging go from a little tiny community to a HUGE number of people. It’s dwindling, now, with the advent of so many different social media platforms and ways to connect with people. That said, there are still two ways for people who love children’s literature to connect with other people who love children’s literature. The first, is our award: The Cybils. If you blog, even a little bit, about children’s books, please consider applying to be a judge. I’ve been doing it for eight years, and it’s a fantastic way to feel a part of something bigger. You’re exposed to a TON of books, and the process of selecting a short list (or a winner), is — to be completely honest — fun. Yes, it’s work, but it’s fun. And, whether you’ve participated before or not, you should give it a shot this year. The other way hits a bit closer to home this year: KitlitCon. I know it’s here in Wichita, which means it’s not really readily accessible to a lot of people (we’re kind of equally far from everything here). But, please consider coming. It’s a smaller conference, and one run by introverts, so we try to give everyone space to connect when they want and retreat when they need to. Charlotte has put together a fantastic program, with some interesting panels and good conversations planned. Here’s the link to register to come. It will (I hope) be worth your time! One of the best things about the Cybils is that we have to agree on a shortlist. Sometimes this comes easily — like it did for our panel this year — sometimes, not so much. Even so, there are always ones that we really like (both individually and collectively) that don’t quite make it on to the list. The 2015 Cybils Finalists Are Here! And I had a fantastic time with my Elementary/Middle Grade Speculative Fiction panel. I don’t think I pulled my weight (the fall was busier than I expected), but the books were mostly good, the discussion was super easy, the other panelists were super smart and amazing, and I REALLY love our list. 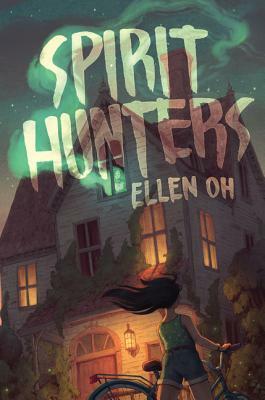 In a simple but not simplistic story, 10-year-old Maddie visits her Grandmère in the Louisiana bayou in order to learn the magical traditions of her family. While there, she discovers how friendship and magic (and bonus mermaids!) can help with modern problems, and learns the importance of being connected to the land around her. Rhodes has created book with a lyrical mix of African, French and Creole traditions that has a huge heart and is full of magic and, ultimately, joy. The titular castle of Castle Hangnail needs a new master, or it will risk being decommissioned, forcing all the resident minions to find new homes. 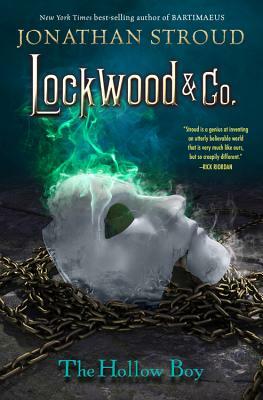 When 12-year-old Molly comes knocking on the castle door, the minions (who expected a powerful dark magic user) are skeptical, but Molly is determined to convince them that she is wicked enough for the job (though she actually has a very good heart). Everything seems to be going well until an evil sorceress shows up claiming she is Castle Hangnail’s real intended master. Its illustrations, humor, messages of friendship and determination, and a host of memorable secondary characters (with a special nod to one minion–Pins, a voodoo doll with a talking goldfish) make Castle Hangnail an utterly enjoyable and charming place to spend your reading time! “Mummy, help me, please help me, everything’s strange and nothing’s right, and my mind feels as if it’s made up of pieces and some of them are missing…” When Triss wakes up from a mysterious accident, she is somehow not herself–she feels an overwhelming hunger that is only satisfied by eating the oddest things, dead leaves appear in her room, on her pillow, and in her hair; her little sister Pen rejects her completely. Triss/Not-Triss must put together the pieces of what turns out to be a larger puzzle, one that encompasses a family’s grief, betrayal, loyalty, and love. Set in post-World War I Great Britain, Hardinge’s Cuckoo Song is a beautifully written, deliciously dark fantasy for fans of historical fiction, horror, fairy tales, or family stories. We think that’s everyone. 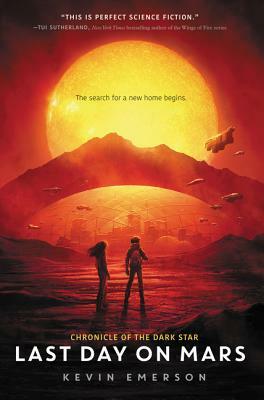 Mars Evacuees– Blast off for Mars on this science fiction debut! In order to keep them safe from the ongoing human-alien warfare on Earth, Alice Dare and other kids from around the world are being shipped off to the red planet . But Mars is far from being a safe haven, and when all the adults vanish, Alice and her new friends set out to get help. Giant floating robot goldfish, unexpected alien encounters and a not-so friendly Martian landscape are just some of the challenges they will deal with along the way. This entertaining and smartly-written romp will make you want to buckle up and enjoy the ride! The Dungeoneers is a first-class adventure that reads like a role-playing game on the surface, while being booby-trapped with plot twists and laced with reflections on morality and loyalty. When Colm starts picking pockets to help his struggling family, they are horrified. But before he can be imprisoned, he’s rescued by a man impressed by his talents who whisks him off to study at legendary Tye Twodin’s School for Dungeoneers–professional treasure hunters and monster fighters. There Colm and his new teammates, the shy young mageling Quinn Frostfoot, tough-as-nails (unless she’s bleeding herself) barbarian-to-be Lena Proudfoot, and druid-in-training Serene (with her a pet spider named Mr. Tickletoes) have to master the skills of dungeoneering. Swordplay, spells and lock picking aren’t as challenging as navigating the social pitfalls of an extraordinary boarding school and figuring out who can be trusted…and that’s before the real adventuring begins! 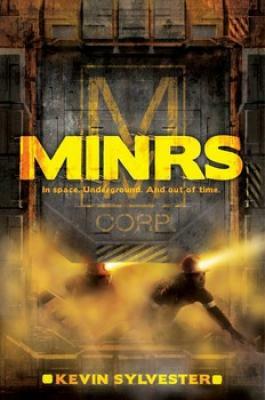 Set in a world where a deadly fog has taken over the planet, and people are forced to live in the skies, a quartet of ragtag orphans make a living off of what they can scavenge on Earth’s surface, even though it means sending their diver, Chess, down through the toxic mist while still tethered to their sky ship. Chess is in less danger than most, as he has a mysterious resistance to the effects of the fog, but the evil Lord Kodoc will stop at nothing to find out Chess’ secret. 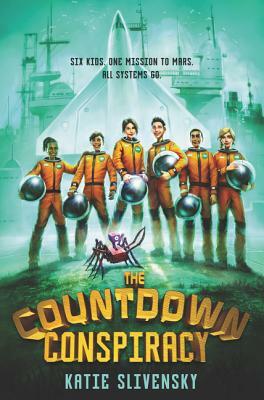 When the four kids – Hazel (the daring captain), Swedish (the strong pilot), Bea (the cheery mechanic), and Chess (the secretive tetherboy) find out that the woman who raised them as family is dying from the Fog sickness, they decide to embark on an mission to save her life, and avoid the evil Lord Kodoc. Featuring air pirates, great characters, and a unique setting, The Fog Diver is a fantastic steampunk adventure with a sci-fi twist that will leave you wanting more. The Wings of Fire series returns with new dragons and a brand new story arc! After years of war, the kingdoms of the dragons are at peace, and a school has been founded to gather together young dragons from all the different factions. 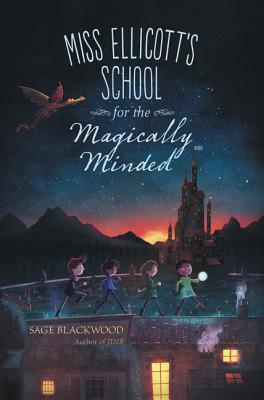 One of these students is Moonwatcher, a young Nightwing who has the Nightwing powers of telepathy and prophecy, gifts that might help her and her new friends thwart the dangerous and deadly plots that threaten the fragile peace. These books, with their wide range of heroic young dragon characters,, are just full of kid appeal, and Moon Rising is one of the best of them. 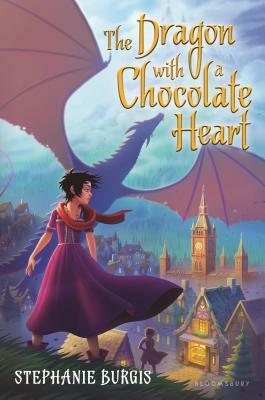 Strong messages of friendship, tolerance, and forgiveness are presented alongside adventures large and small in a way that will have readers clamoring for more. Additionally, THREE of my nominations that made it through: The Blackthorn Key (YAY! ), Baba Yaga (YAY! ), and Ms. Marvel (YAY!). Click here to see what all the other (excellent) finalist lists are. As I’ve been puttering along on my blog here for nearly 11 years, I’ve seen a lot of blogging communities come and go. I’ve been involved in quite a few of them as well. But none has captured my heart the way the Cybils has. I don’t remember how I became aware that a group of bloggers, many of whom I followed, were banding together to create this award. But, I did, and so when the call for judges came out in 2006, I applied. No one knew who I was, and my blog was super scattered back then, so I was turned down. I became determined then: I wanted to be a part of this. And so I worked hard connecting with the community so when the 2007 call went out, I was actually picked. Over the years that I’ve been involved, I’ve often thought about what it is with the Cybils that keeps me coming back, year after year, to volunteer my time for this award. There are lots of reasons, but I’m going to try and just pick a few. It’s a unique opportunity to be really well-read in one area of Kidlit. For me, over the years, that has been middle grade books. I was on the Middle Grade Fiction panel for years before leaping over to Speculative Fiction. I’m not as “expert” in those areas as some others, but I am pretty dang knowledgeable. And it’s all because I read a whole bunch every year for the Cybils. I like being a part of something bigger than myself. This is perhaps the most important reason. There’s just something about working with a team of people, all who have volunteered their time because they are passionate about kids books and kids in general, for a larger goal. In this case: to create a list, and pick the best, kid-friendly book. 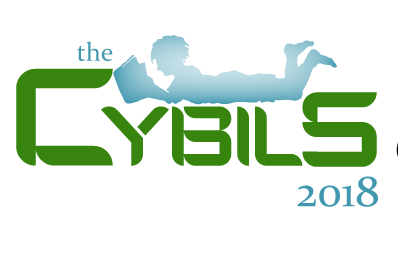 I’ve already thrown my hat into the ring, in spite of my busy schedule this fall, to be a part of the 2015 Cybils. I hope to see you there!